Easy yoga stretch. Get on all fours with a neutral (flat and straight) back. 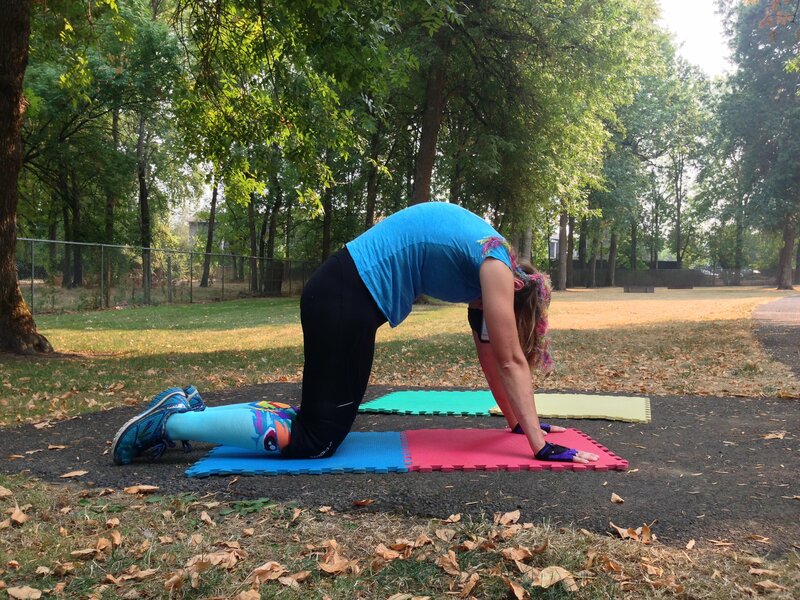 To perform “cat” posture, while you inhale, slowly roll your spine to an arch, pushing not just your back, but also your stomach, to the ceiling. Tuck your chin into your neck. As you exhale, roll your back past neutral spine and cave in, pushing not just your stomach, but your back as well, into the floor. Extend your neck to look up at the sky. One cycle is one rep.